Saint Augustine adopted in Cassiacum a way of life that did not respond to any previous pattern, and it could be considered as a “first trial of monastic life” (3) that alternates otium sanctum with otium liberale, Christian asceticism setting aside philosophical practice. He dedicates long hours to teaching, reading the classics and manual work, but he also reserves time to study the Sacred Scriptures, to recite the Psalms, and to religious contemplation. The first activities belong to the past and are simply the result of inertia and they only reach the superficial layers of his mind; the former, however, reflect his actual willingness and speak out of his internal future determination. Augustine feels himself as a servus Dei, as a member of the social religious world of asceticism together with the world of monasticism. Augustine does not fancy riches or glory; he is indifferent to the pleasures of table, and he is determined to embrace continence. The following months he strengthened the idea he had about monasticism studying and visiting the monasteries in Milan and Rome. Colegio San Agustín. Madrid (Spain). Monastic life those years is for Saint Augustine the crown of Catholicism, and he presents it as such in his book De moribus Ecclesiae Catholicae, an apology against Manicheism that he had begun to write in Rome to finish it in Tagaste. Chapters 31-33 describe in some detail the monastic organization and customs. 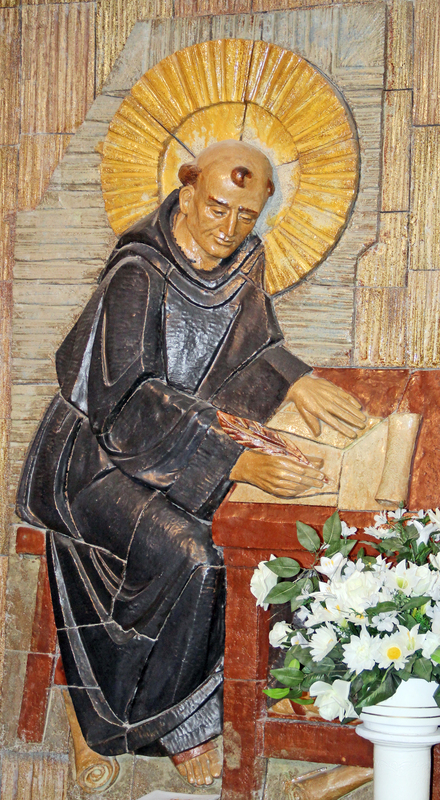 His description is imbued with philosophical and theological ideas from Saint Paul, and perhaps he reflects his own aspirations more than the real monastic situation. He seems to perceive in that way of life the first expression of ideal. Augustine admires and defends the hermit´s solitude, renounce and sacrifice. Later on he will write that Christ has his preferences among those servants who live in the desert. But he does not feel any attraction to that way of life. His heart beats more enthusiastically when dealing with coenobitic life. Penance and fasting are also practiced in the monasteries but neither of them is a supreme value. Both are subject to health and ordered to charity. Augustine then highlights some of its strongest features: common life, harmony of hearts, detachment of the earthly goods, moderation and freedom in its use, manual work, study, and, above all, charity. Everything against charity should be banished from the monastery: “Christ and the Apostles recommend charity above all, so that wherever charity is not present, everything is vain, and wherever charity is present, everything is plain” (De mor. Eccl. et man.) I, 33, 70-73. (3) A. Manrique, La Vida monástica de san Agustín, 46.